The board of directors of Berkshire Natural Resources Council has appointed Jenny Hansell of Sharon, Connecticut as its next president, succeeding Tad Ames, who will step down from the organization at the end of the calendar year. 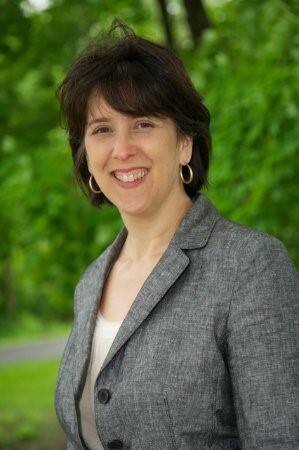 Hansell has served as the executive director of the North East Community Center in Millerton, NY since 2001. Hansell will take the helm of an organization that has had only two chief executives in its 50 year history. The organization has enjoyed tremendous growth in the last five years with the launch of its Berkshire High Road vision and the conclusion of a $5 million capital campaign. Hansell fully grasps the promise that the Berkshire High Road represents and the challenge of executing against this vision, Crane said. “Jenny radiates optimism that is informed and seasoned by her experiences leading the North East Community Center. She possesses a sense of urgency to make real BNRC’s vision of a county-wide, interconnected network of trails while leading BNRC’s broader conservation mission that has become increasingly ambitious and complex,” he said. The North East Community Center serves northeastern Dutchess County, New York, with programs for children, teens, families and senior citizens, including the Millerton Farmers Market, a Dial A Ride bus, after-school programs, job training and paid internships for teens and young adults, support for families in crisis, and public events like the Spring for Sound music festival. All of the Center’s current programs were developed under Hansell’s leadership. BNRC was founded by George Wislocki in 1967. In 2002, Ames succeeded Wislocki. Today the organization stewards nearly 22,000 acres of conservation land, including approximately 50 miles of hiking trails. For more information, visit www.bnrc.org.